Alex Thompson's life is following the script. A pre-law student at Columbia University, she's focused on her grades, her life, and her future. The last thing she needs is to reconnect with the boy who broke her heart. Dylan Paris comes home from Afghanistan severely injured and knows that the one thing he cannot do is drag Alex into the mess he's made of his life. When Dylan and Alex are assigned to the same work-study program and are forced to work side by side, they have to make new ground rules to keep from killing each other. The only problem is, they keep breaking the rules. The first rule is to never, ever talk about how they fell in love. 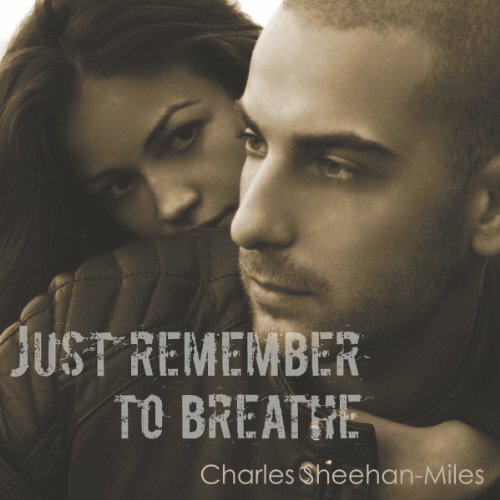 Just Remember to Breathe is part of a series of novels centering around the Thompson sisters. Though the books center on the same family, they are standalone novels and can be read in any order. This is a story that is about two college age kids who are from different sides of the track. The story doesn't get too deep that it ends up beating a dead horse but does touch on current issues that one might face. It's refreshing to see that they can weed through things to find out what really matters in life. Not too deep, not too light young adult story. I'm old enough to be their parents so consider the source. As a parent, it's nice to see characters that reflect maturity and depth that readers/listeners the same age as the characters involved can look at as examples. I can see how it could get 5 stars depending on the listener and their life experiences. It held my interest and the narrators did a good job which is always a deal breaker for me. Chapter 3 (Chapter 4 in Audible app) is incomplete. Dylan's Narration has a lower volume than Alex throughout the novel. Both could be a little higher. I enjoyed this book although it started slow. What about Nicholas Vennekotter and Emily Eldridge ’s performance did you like? I love the different voices it made the story enjoyable. I did like this book I would think anyone liking a good love story would like this book.